In recent years, we heard more and more News about digital publishing. People are proffering to read digital publication rather than carrying around a heavy print publication. In this case, we can see that digital publishing is blooming in these latter years. On one hand, online digital publication can showcase contents in a novelty way; on the other hand, page flipping book can be shared faster than print publication. In this case, there are more and more excellent and powerful online flipbook software and applications come on the market. PUB HTML5 is one of them. For one thing, PUB HTML5 is powerful self-publishing platform for users to create online flipbook directly by uploading PDF file; for another, PUB HTML5 is professional online flipbook software for creating multimedia content page flipbook from PDF, MS Office document and images with ease. Anyway, with the help of html5 flipbook made by PUB HTML5, you can reach and expand readers on mobile devices quickly. 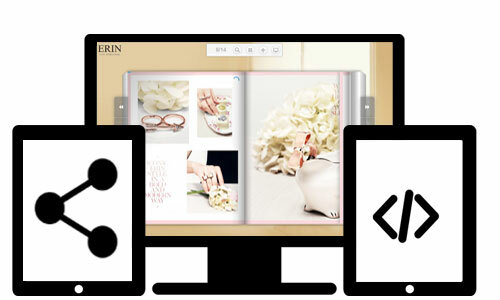 As we mentioned above, there are two solutions for users to create online flipbook with PUB HTML5. 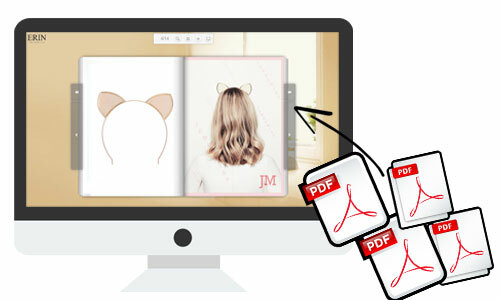 You can upload PDF to create online flipbook directly on digital publishing platform of PUB HTML5 directly. 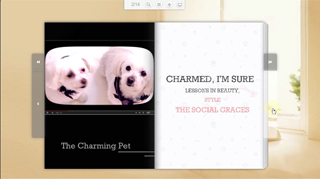 Or you can create digital flipbook with desktop version and then publish it online with ease. If you create online flipbook with online version of PUB HTML5, then you can skip this part. Because you can not edit digital contents once you upload PDF and create flipbook online. But if you use desktop version, then you can insert multimedia contents such as images, video, button, link and more into digital contents. Anyway, desktop PUB HTML5 enables you to customer tool bar and layout settings simply. All in all, creating attractive and interesting contents is one of the popular ways to expand readers. Finally, thanks to the html5 and jQuery technology, your online flipbook powered by PUB HTML5 can be shared and viewed on mobile devices with proper size. It means, digital online publication created by PUB HTML5 can adapt to the different screen size so that users can have wonderful reading and shopping experience on mobile devices. Now do you believe online flipbook software PUB HTML5 can help you expand readers of mobile devices? As long as the flipbook online, then it means you can share online flipbook to social network and embed into webpage or blog exactly. About sharing to social networking, only several clicks can make your online flipbook sharable. About embedding flipbook, you have to copy and paste the embedded code to webpage or blog easily. 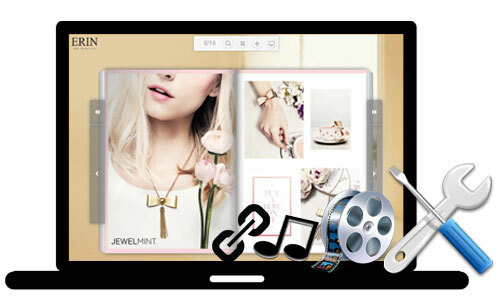 However, you are able to customize the flipbook size while you are embedding online flipbook.